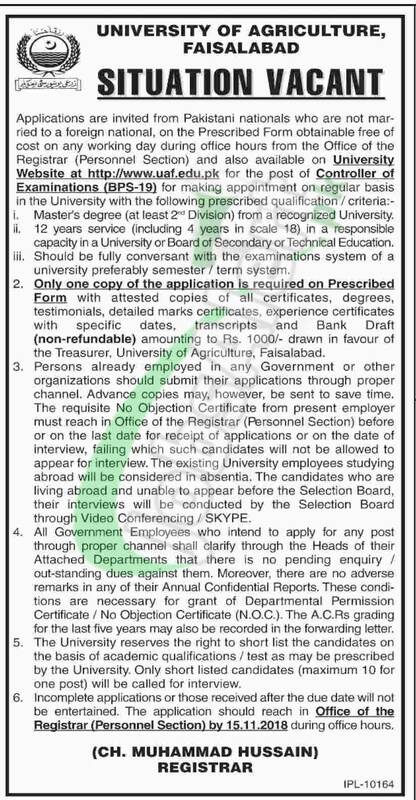 Apply for the University of Agriculture UAF Jobs 2018 for Controller of Examinations (BPS-19). Candidates possessing Masters degree from a recognized university with 12 years experience in a University or Board of Secondary or Technical Education are welcome to apply on or before the last date 15th November 2018. Only eligible candidates should apply because at the time of scrutiny the applications of ineligible will be out of selection procedure.